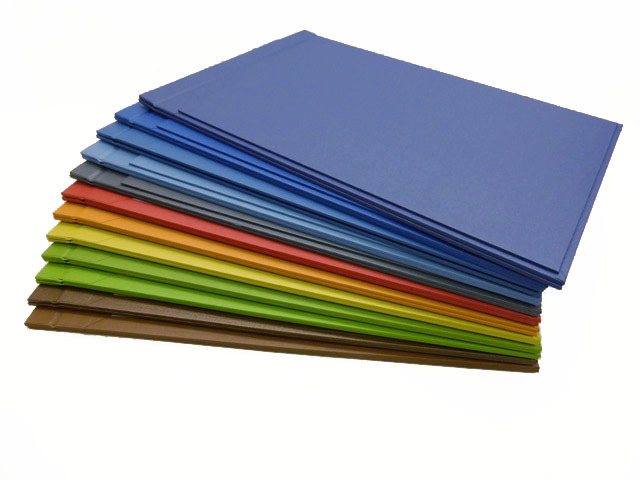 For urgent requests we have created a range of off the shelf A3 landscape portfolios to house prints in a small range of colours. These have a pocket at the front to house cards. These folios are ready to be blocked in Gill Sans light 40 pt with your name and can be ready in 5 working days. Please email or call us to finalise details. Soon we will be stocking a selection of beautiful handmade decorative notebooks, diaries and address books.